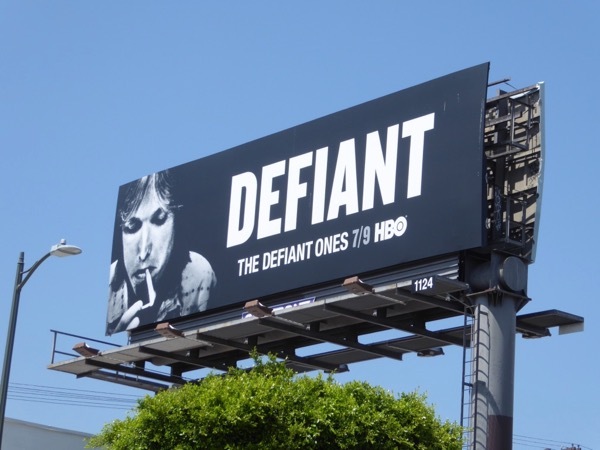 In these times of resistance, these Defiant billboards filling L.A.'s skyline seem even more timely, featuring trailblazer recording artists and music legends. 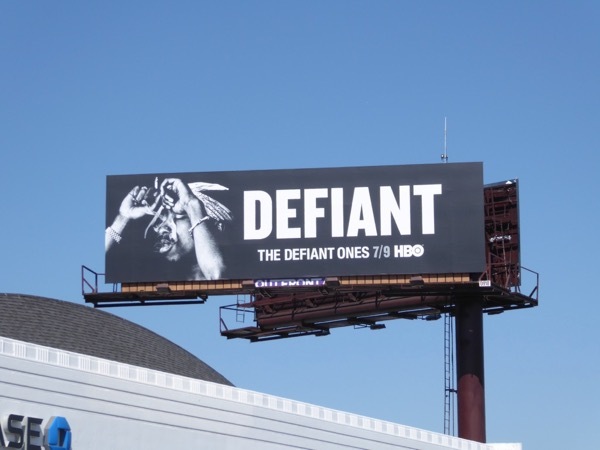 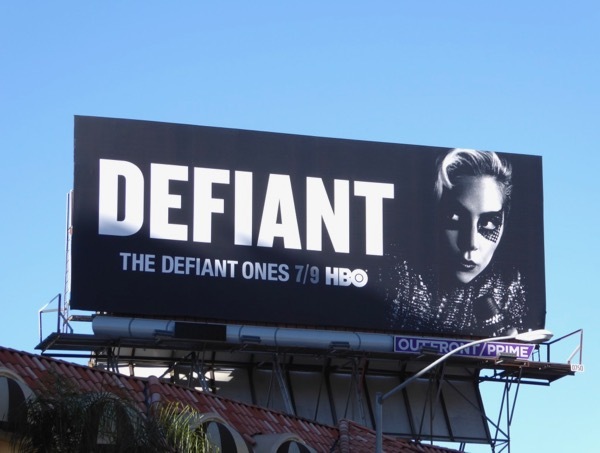 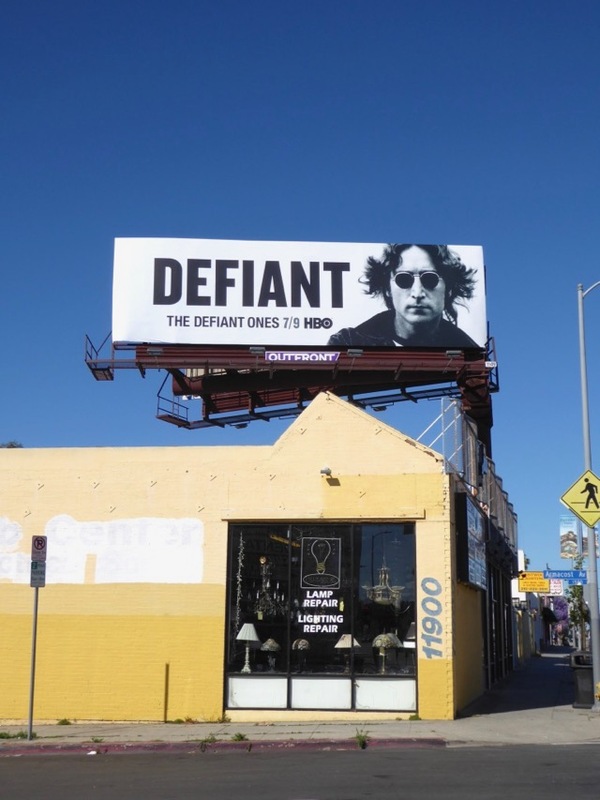 The outdoor ad campaign for HBO's four-part documentary series The Defiant Ones features the likes of Marilyn Manson, John Lennon, Patti Smith, Lady Gaga, Eminem, Snoop Dog, Tupac, The D.O.C., Nine Inch Nails frontman Trent Reznor and more music icons besides. 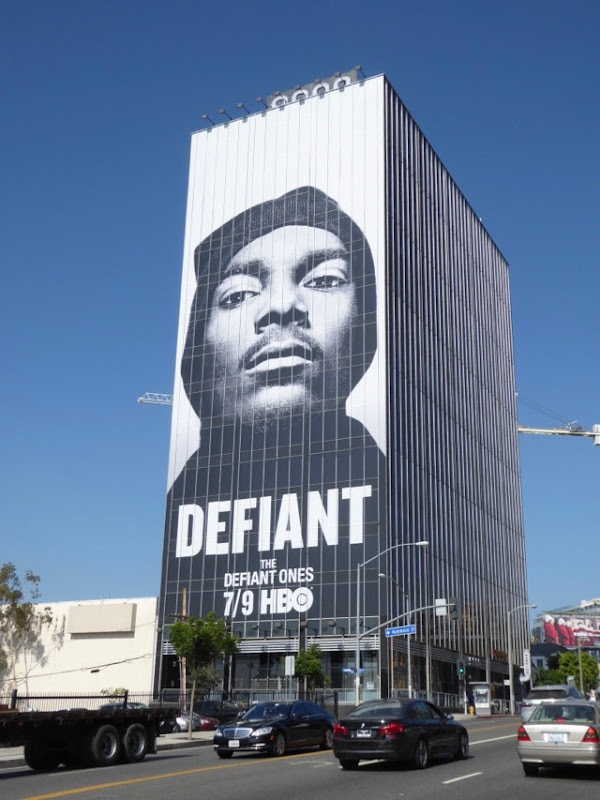 The docu-series directed by Menace II Society's Allan Hughes spans four decades and follows the stories of legendary music industry producers Jimmy Iovine and Dr. Dre, one the son of a Brooklyn longshoreman and the other a rapper straight out of Compton. 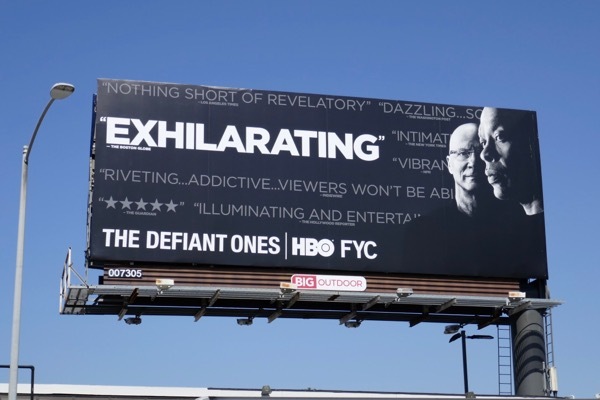 The mini-series takes places in recording studios, humble homes, massive mansions and criminal courts, chronicling how both men defied conventional wisdom to build their empires and win big in America. 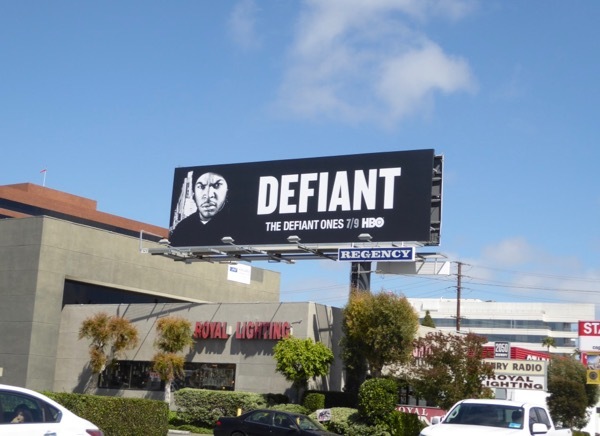 Aside from kickstarting the careers of many musical talents and produced platinum albums, between them they have won Grammys, produced films, TV shows and music streaming services, plus the duo also co-founded headphones brand Beats by Dr. Dre (which they sold to Apple for a hefty price). 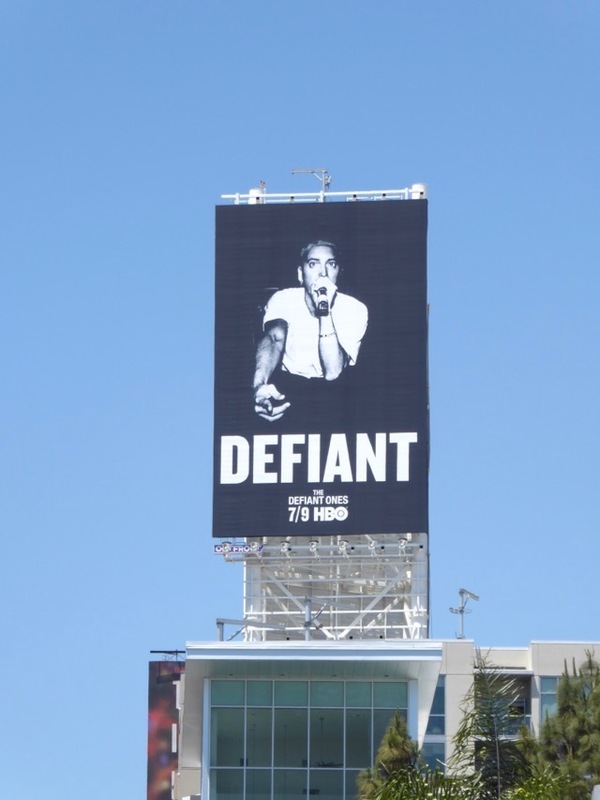 In addition to extensive interviews with Iovine and Dre, the series also explores the artists involved in their success stories, plus features never-before-seen footage from recording and writing sessions. 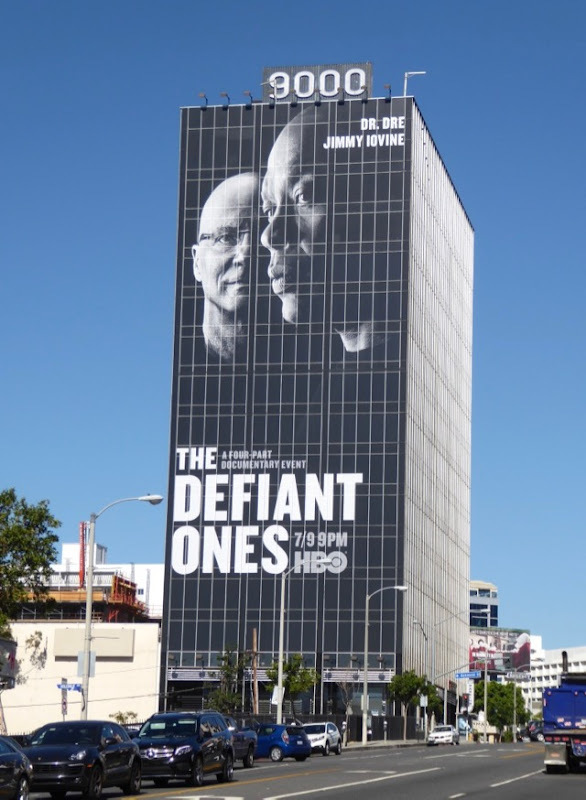 These bold billboards for The Defiant Ones were snapped standing out around the streets of L.A., including along the Sunset Strip, Vine Street, Santa Monica Boulevard, Melrose Avenue and Pico Boulevard, from May 19 to June 3, 2017. 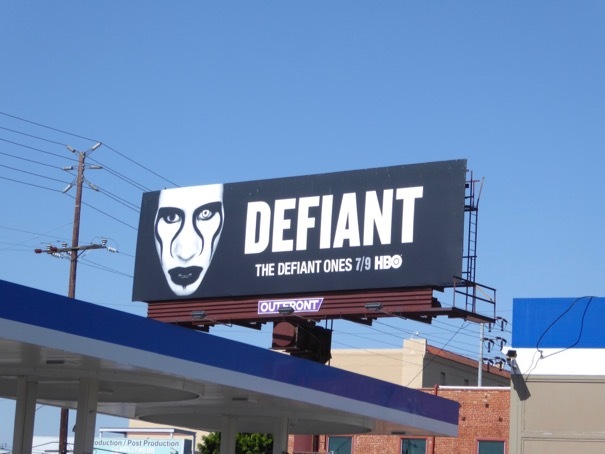 The giant-sized Marilyn Manson billboard towering over West Hollywood's eastbound Sunset Strip is especially striking. 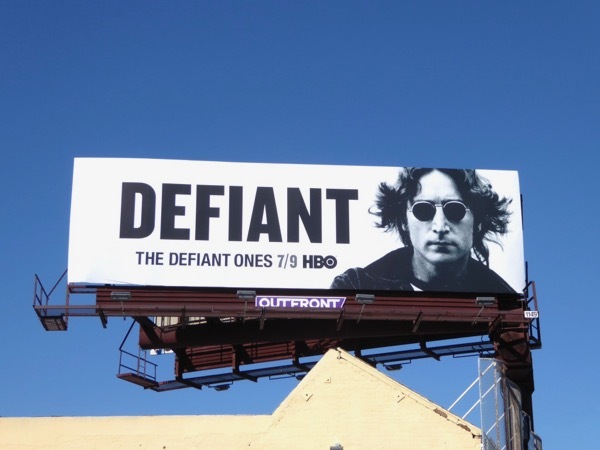 For more music icons, make sure you also check out these billboards for The Grammys from recent years. 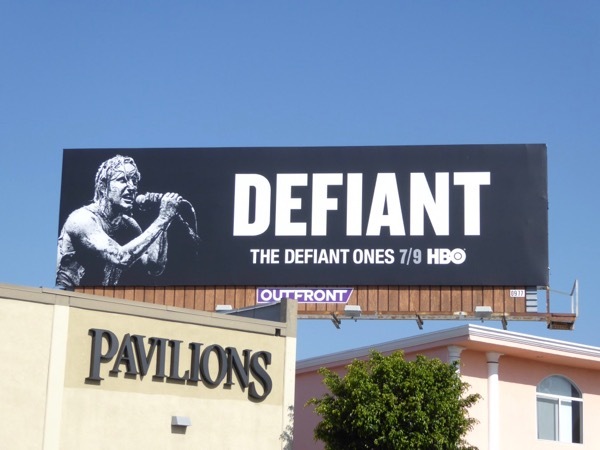 It sounds like this documentary series will be a must-see for music lovers, so will you be tuning in to learn the secret to success in the music biz this summer? 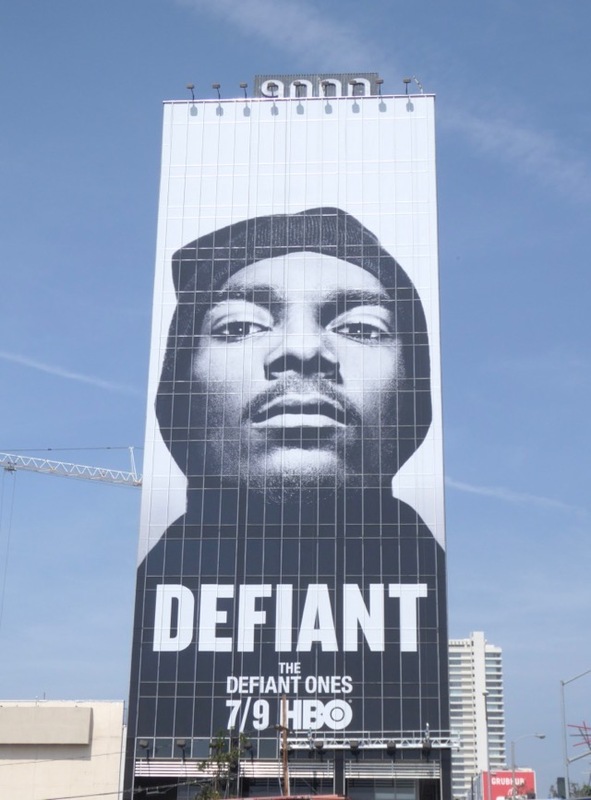 UPDATED: Here's also another example of the super-sized Snoop Dog billboard on the other side of the building to the Marilyn Manson ad on a clearer day. 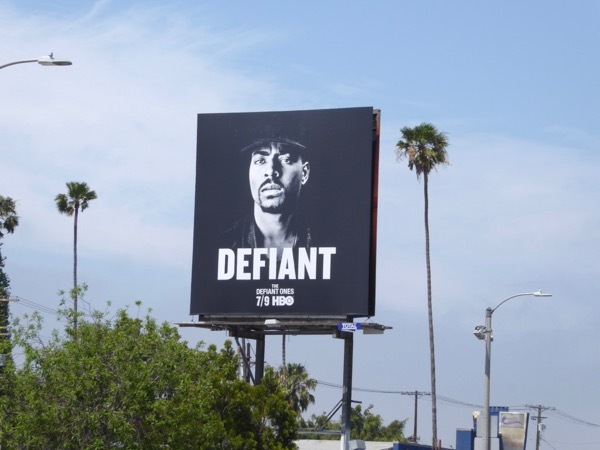 Plus this Ice Cube billboard was spotted along Bundy Drive and the Tom Petty version was spied along Pico Boulevard on June 9, 2017. 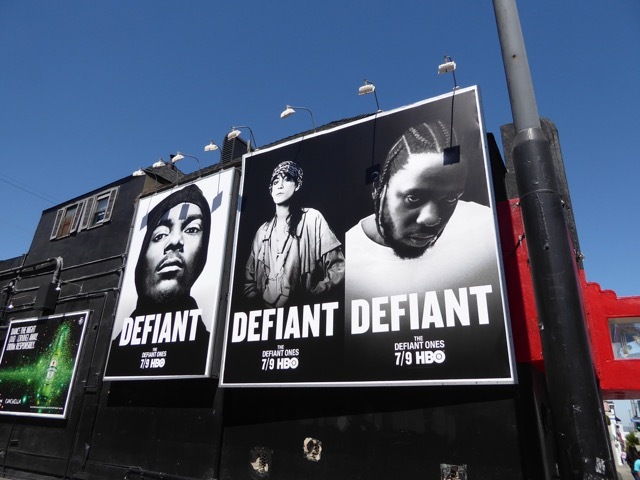 HBO has certainly invested heavily in this outdoor ad campaign featuring rappers, rockers and pop stars, so let's hope the big bucks pay off in viewers. 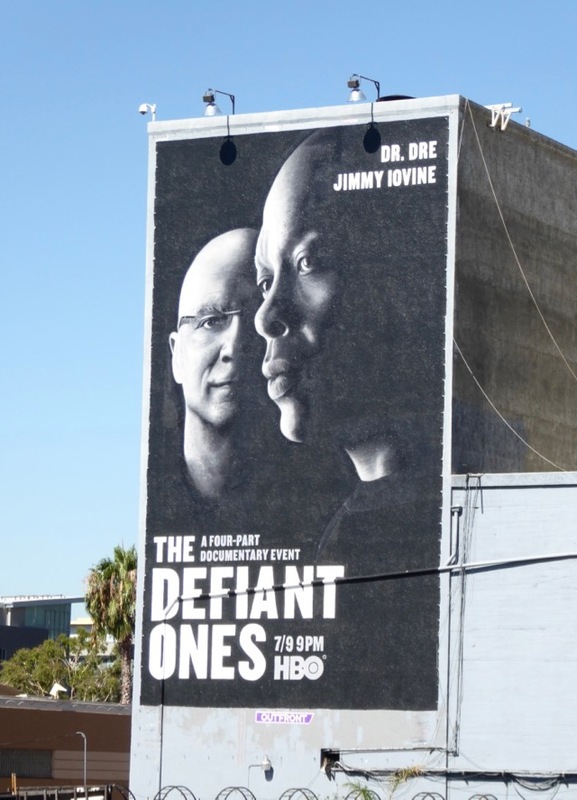 UPDATED: Following that onslaught of teaser billboards for the documentary series, here's also an ad creative featuring Jimmy Iovine and Dr. Dre. 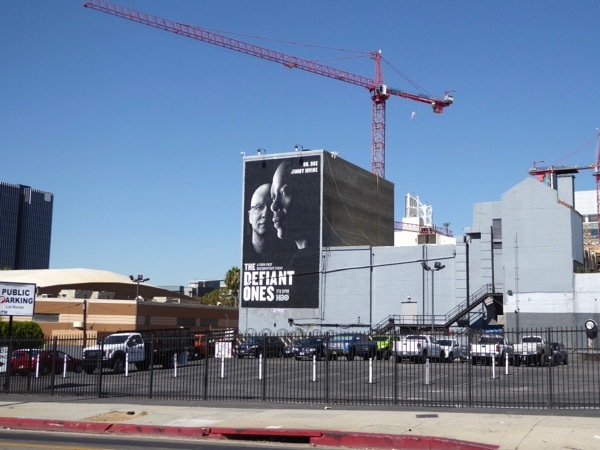 This giant billboard was first spied towering over West Hollywood's busy westbound Sunset Strip on June 15, 2017. 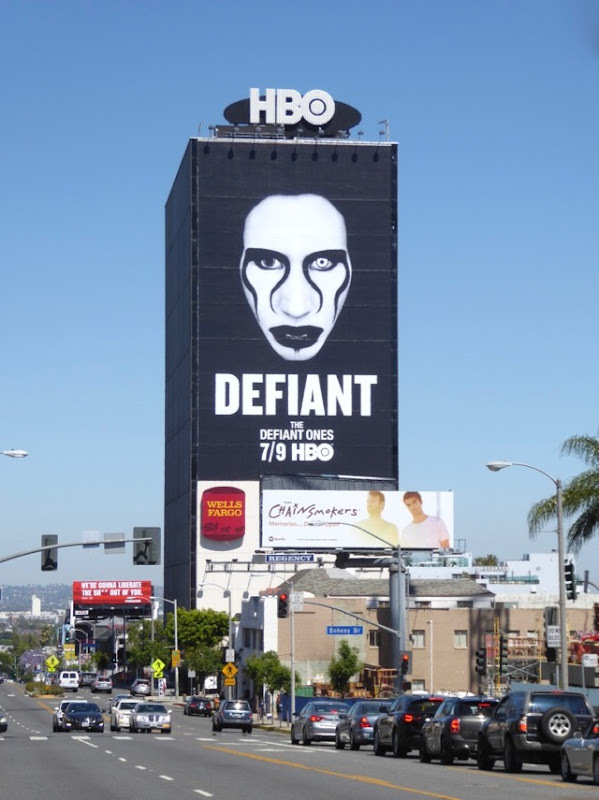 Meanwhile the other wall mural ad was snapped along Hollywood's Gower Street on June 27, 2017. 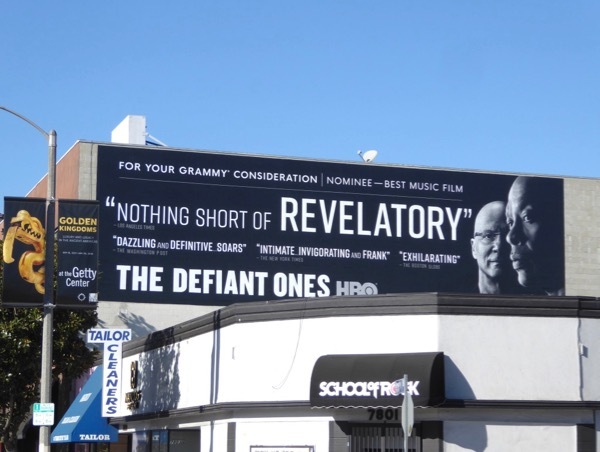 UPDATED: Here's also a Grammy consideration billboard for the HBO series spotted along Beverly Boulevard on December 27, 2017. 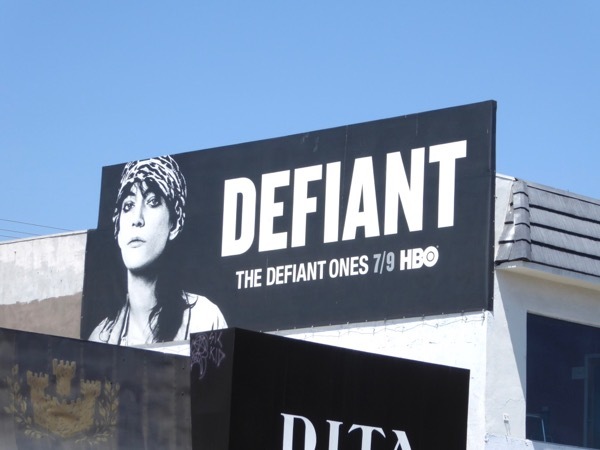 UPDATED: In addition here's an Emmy consideration billboard for the docu-series snapped along Cahuenga Boulevard on May 10, 2018. 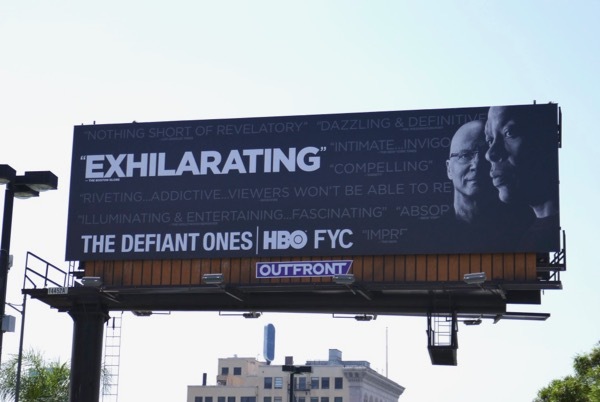 And here's another FYC example spotted along Sunset Boulevard on June 8, 2018. 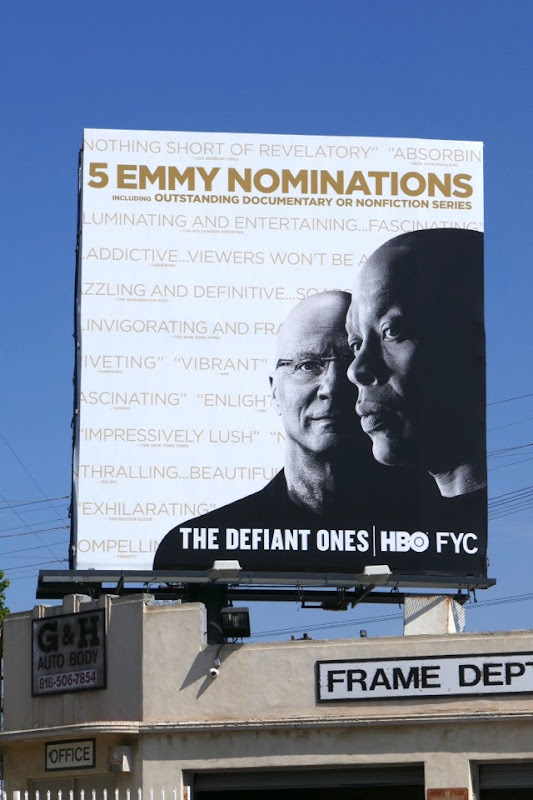 UPDATED: Congratulations to The Defiant Ones for garnering five Emmy nominations, including for Outstanding Documentary Series. 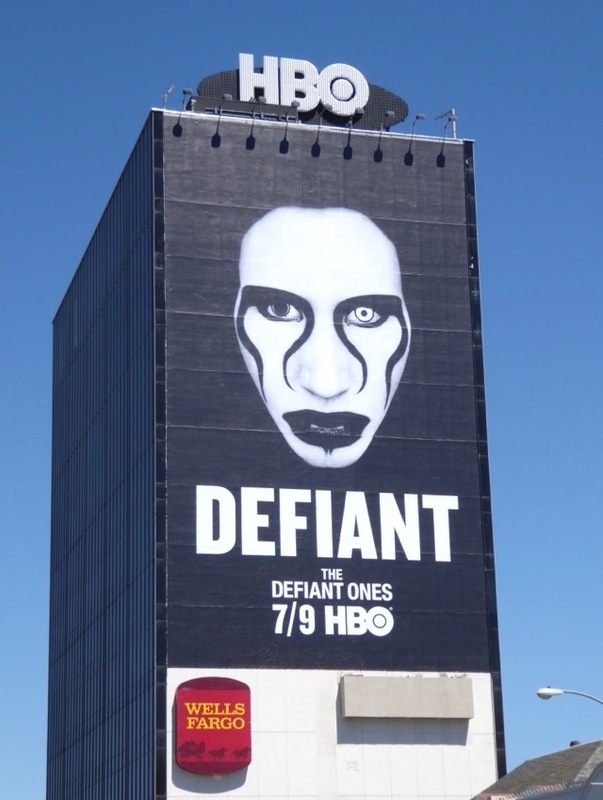 This Emmy nominee billboard was spotted along Lankershim Boulevard on August 12, 2018.